A majority of the Center’s more than 30 structures are in the headquarters area, including the main office-laboratory complex, an outreach/meeting facility, livestock facilities (barns, feed storage), shops and warehouses, and a greenhouse. Additionally, 7 residences and a dormitory (bunkhouse) serve the needs of resident staff and visitors. Several barns and storage structures are located in various field locations. Field livestock facilities, including corrals, shelters, and water systems, support the resident research sheep flock. The Center’s main office complex provides office and work space for resident staff and includes a library/conference room, lunchroom, the IGIS laboratory, and a multi-purpose 1000-ft2 wet lab equipped for a variety of standard soil and vegetative analytical tasks.  Lab equipment includes a fume hood, drying ovens, refrigerators and freezer, centrifuge, and an analytical balance. This outreach/meeting facility, opened in fall 2012, supports the Center’s extension events and activities and is available to the region and nearby communities as an educational resource. The main auditorium (“Extension Hall”), with full audio-visual capabilities, has a capacity for seating up to 210 persons theater-style, supported by accessible restrooms and a catering preparation room. The museum room houses the Center’s collection of mammals, birds, reptiles, amphibians, Native American artifacts, and the Center’s extensive herbarium, along with working space for these collections. The museum space and associated interpretive displays are easily visible from the building’s main entrance vestibule. A multi-use laboratory room provides additional work space for use by resident or visiting staff and students. 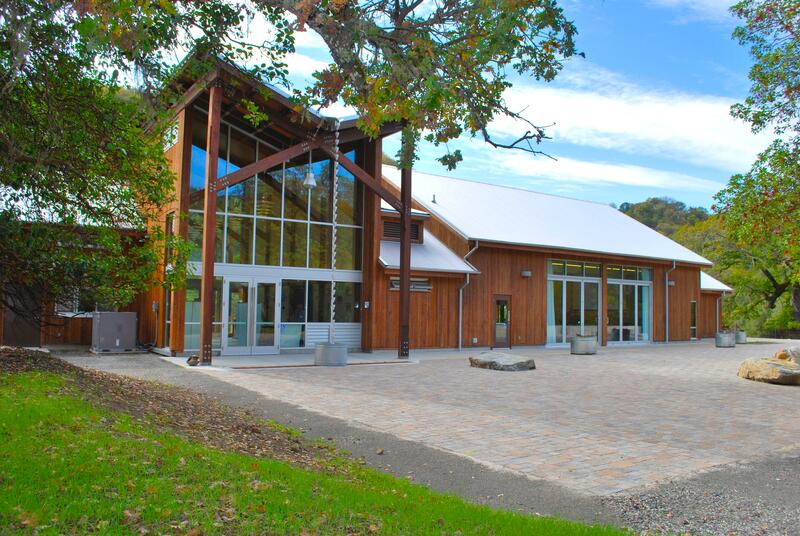 Inquire about use or rental of Rod Shippey Hall by calling the Center at (707) 744-1424 ext. 101. 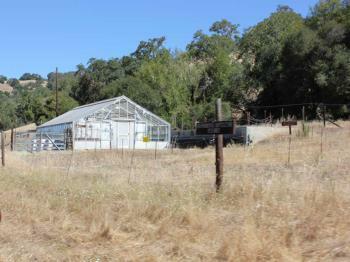 A 950-ft2 glasshouse and a newly-rebuilt lysimeter facility support plant sciences research. The glasshouse is equipped with evaporative coolers, and is located adjacent to an irrigated plot, surrounded by deer-proof electric fence, suitable for horticultural trials. The lysimeter facility has 72 soil columns, buried within a sloped hillside, which ensures natural soil microenvironmental conditions. Each soil column is within a 30-gallon (15 inches [38 cm] diameter × 22 inches [56 cm] deep) steel drum. Each drum is plumbed to collect all water draining through the soil column for chemical analysis. Livestock facilities include 6 barns with working corrals, a livestock quarantine facility, and feed storage facilities for alfalfa pellets, hay, and straw. The 9,600-ft2 main barn serves as the Center’s lambing facility. Four sheep shelters located in or adjacent to 7 of the Center’s 32 fenced pastures serve as mixing facilities for ewes and their lambs. This increases maternal bonding prior to placing them on the open rangeland. Mechanical, welding, and woodworking shops provide support the maintenance construction, and fabrication, or modification of facilities and equipment for research purposes. Visiting researchers, technicians, students or others who need to be in residence at the Center may stay in a modern dormitory (bunkhouse) facility equipped 20 bunks, a kitchen with utensils and dishes, and laundry facilities. The Center has 3 mobile residence pads available for those needing to be in residence for longer periods of time, and who may wish to bring a travel trailer or RV to the site. In addition, 7 permanent residences are maintained for lease by resident HREC staff. 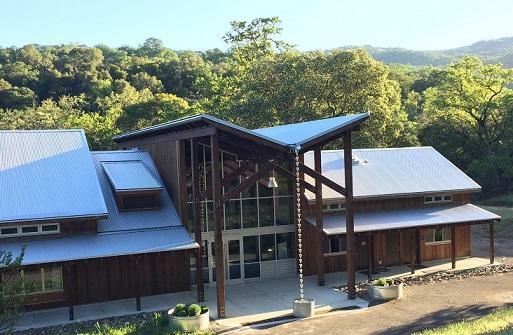 For those needing to visit the Center who require an overnight stay but do not wish to use the Center's facilities see the list of local hotels and motels (Ukiah and Cloverdale).